Seven questions. Short answers. Spread awareness. Who gets Rheumatoid Arthritis (RA)? The typical RA patient is a woman in her late thirties to mid-forties. However, almost anyone can get RA. Children get can get one of several forms of Juvenile Rheumatoid Arthritis (JRA or JIA). And men can get RA too! The people who seem least likely to be diagnosed with full-blown RA are the elderly. Ironically, the name of the disease confuses people: Since the name of the disease has the word “arthritis” in it, many assume Rheumatoid Arthritis is a disease of the elderly. Is Rheumatoid Arthritis (RA) a serious illness? Yes, RA is a serious illness comparable to diabetes or angina. RA patients do not tend to live as long and require lifelong treatment by a specialist. Being diagnosed with RA doubles the risk of developing heart disease, which is a major reason for the high mortality rate of RA. RA attacks the lining around vital organs in the same way that it attacks joints. RA patients frequently have to manage several other complications caused by RA. Most RA patients will have several hospitalizations or joint surgeries, or require physical assistance at some point in time. No, there is no Rheumatoid Arthritis cure. The internet is full of so-called cures for RA. Many of them came from Grandma’s attic, being handed down through antiquity. Friends often prescribe honey with cinnamon, cherry juice, or Tylenol Arthritis to cure their friends’ RA. There are good reasons that it is hard to find a real RA cure: RA is an extremely complex disease. For one thing RA is heterogeneous, meaning it does not always behave the same way, even in a single patient. Think of it like trying to cure a virus that mutates. What’s it like living with Rheumatoid Arthritis (RA)? Some Rheumatoid Arthritis patients have a mild course of the disease and live a somewhat normal life. Still, they probably live with regular doctor visits, the most expensive drugs in the world, side effects of those medicines, and several physical limitations. People with severe RA may experience deformity, damage, or disability even early in the disease. Most RA patients are somewhere in the middle. The two most common symptoms of RA are pain and fatigue. RA is an autoimmune disease that attacks the joints and organs. However, RA is often a hidden illness because the damage is often not visible from a distance. This can make it difficult for RA patients to receive physical assistance or exceptions that they require to accommodate their limitations. RA almost always progresses or becomes more severe over time. RA symptoms can improve and worsen alternately in some patients in a pattern called flares. It can be unpredictable how physically disabled a person with RA will be at any particular time. For many RA patients, this unpredictability is a source of frustration. What kind of medicine do people take for Rheumatoid Arthritis (RA)? Most people with Rheumatoid Arthritis do take two kinds of medicine: medicine to suppress the disease and medicine to manage symptoms. The best medicines we have for RA today are called disease modifying drugs. They fight RA by suppressing the immune system. Also, most RA patients need medicine to manage symptoms of RA which remain even after the disease is treated aggressively. RA can cause severe pain which patients say is akin to a broken bone or other acute injury. Often, these medicines cause bothersome side effects like nausea, weight gain, or susceptibility to infection. What can others do to help those living with Rheumatoid Arthritis (RA)? There are many simple things that can be done to improve the lives of people living with Rheumatoid Arthritis. First, you can join a community like this one with Rheumatoid Arthritis information, and help to spread awareness about the disease as you learn. Those who are more educated about RA probably will not hurt someone’s hands or make insensitive comments. Second, you might find ways to help anyone you know who is living with RA such as helping to avoid exposing them to germs since infections are a danger. There are many other helpful things to do like the ones in this practical list. There are simple blood tests which can help diagnose RA, but there is no definitive test. At least one-third of people with RA have negative blood tests. Often it is necessary to get more than one medical opinion since the first symptom of RA may not be a joint symptom or one that is considered typical. 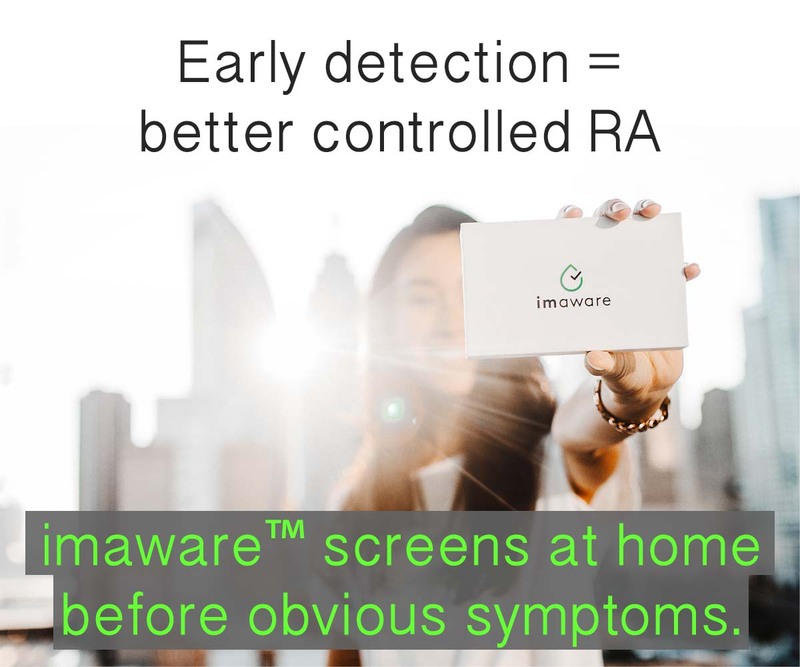 Many RA patients receive another diagnosis at first, partly because of various misconceptions about what RA should look like. Diagnoses on second or third opinion are very common. If someone suspects RA, she/he should see a rheumatologist as soon as possible. Treating the disease as early and aggressively as possible is believed to be the best hope at slowing its progress or altering its course. What’s this for? 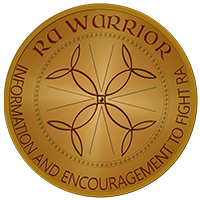 This page provides RA info at-a-glance that’s still true to life, a quick source of information to anyone asking about RA. This button can be posted on any website or sent as a link to anyone curious or confused about RA. Feel free to copy the code from the box so you can grab the button and pass it on. For more basic information about Rheumatoid Arthritis, see the RA 101 pages on this website. what a great informative page I just love this Kelly so glad & I appreciate you & your work with this webiste.GOD BLESS YOU!! Thanks, christip! Welcome to the site! 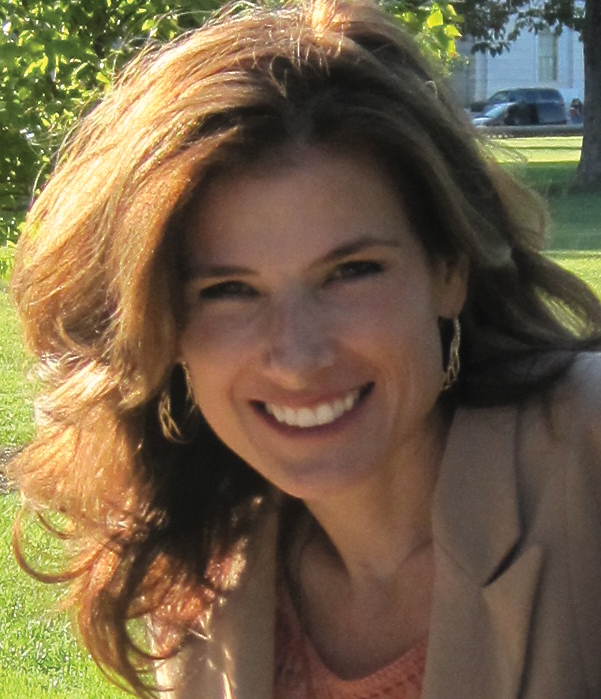 Kelly, this is wonderful… I think especially for those of us who just got diagnosed. I am so great full to have found you and your website. It is amazing how God sends us down the road and you think your by yourself. But he always has a plan. You are moving a mountain. Hope you are feeling better. Thank you, Stephanie. I hope this makes an impact! For the newly diagnosed, I’m sure you have seen the Mall Map for the recently diagnosed, right? Here is the link for anyone who needs it: click here. It’s also on the menu. Kelly-what a great yet concise summary. It’ll be invaluable read for not only the newly diagnosed but those new to your site, regardless of the length of time suffering with RA. It represents a lot of work, on your part. I consider you, and the site, such a blessing in my life. Together, we can move mountains. Thanks also, for giving directions on how to “grab the button”. Thanks, Julie. It will be slow going, but we can. I hope that one day this info will be so well known that this is unnecessary. Thank you, Angela. Best to you too. This is AWESOME!! What a GREAT tool to be able to spread the word and increase awareness about RA. WOW!! Thank you! Thank you for telling the truth. I have had RA for 6 years and it is an up hill battle every day. I suggest prayer to all of you. That is exactly what I do. Ask God for healing and help to make it through each day. YES….as of now, I still hurt and have fever’s 8 days out of 10. YES…I still take my meds and yes I have taken Methotrexate for 6 years. The disease hit me at 54 years old and at 58 years old I did get a medical disability. Humira and Enbrel caused Pneumonia…twice. Hang in there and pray, pray, pray. I will put you all on my prayer list. Love in Christ. Thank you, Vern. I will say that I pray as I do my shot each week – I pray for myself and those I see on here. Awesome little button and the info is spot on. Looking forward to using it on my blog. This site is the best I have found so far on RA. Thank you soo much! Does anybody’s RA move around to different parts of their body? Also, I am so frustrated with my doctors. I am not on Methotrexate yet. I am just taking a lot of Vitamin D, folic acid and Sulfasalazine. Now, they are wanting me to go to a pain clinic and I have no idea of what a pain clinic is all about. I have another appointment with the Rheumatologist and will most likely be going on Methotrexate. Has anybody ever been to a paint clinic for their RA? Please give me some ideas of what I am getting into? This might help: If disease treatments do not bring a patient adequate relief of pain, symptom-treating medicines can be used to make life more bearable. Of course we’d all rather have the RA fully controlled so that more medicines aren’t necessary, but that doesn’t usually happen. You can read more about that here- click here. Now a pain clinic would be a doctor who specializes in treating pain ususally by prescription pain meds or injections. I’m surprised your doc would send you there first. The sulfasalazine is a milder disease treatment, but I take it you are needing more since they are starting you on mtx. My best advice is to ask a lot of questions. It’s okay to tell the doc you want more info or that you want to do research before you decide on any treatment. It really is up to you. Some rheum docs do not prescribe pain medicines (partly because of all the liabilties) & they’d rather send patients to pain specialists. I hope that helps you. You are so awesome! Thank you for your response! I am so thankful for this website and for you! Have a great day and thank you again! I tried to see if a pain clinic was right for me and they said it was for designed for people that were re-hab-able (not a word I know :P), people who were on L & I and it wasn’t for people like me. I would like to have someone help with my pain meds because my rheumy is hesitant (and a grump) but I don’t have much choice here. Boo! Beth, have you seen a pain specialist? They might help with what med or therapy would work for you. Some rheum docs are hesitant because of lack of training to deal w/ pain or because of regulations about pain meds in various states. Kelly, I tried to put your info-link-button on my blog but it would only show that weird triangle/square icon when a picture doesn’t show up right. Got any advice? I’m trying to figure out what happened. Did you paste the HTML into the html of your blog? I’ll go see if all is well with the image. Also, try to dump “cookies” and try again. Let me know. Ughhhhhhh! I had no idea that pain could make you so depressed! I can’t wait to here from somebody about my situation! I think all of you are awesome! yeah unfortunately you are right – it does get old fast! Hi, sorry to bother you again but does your arthritis move around to different places? I have real problems with my feet and hands. But right now my hips are really bothering me and I haven’t had that so much before! Does this happen to you too? I can’t take and over the counter anti-inflammatory medication due to a heart problem. Do you take a prescription pain medication? I am just asking to see if taking prescription pain medication is a common thing that people with RA take and does it help?? Tanya, I have been to a pain clinic, many times. I appreciate them. They are very knowledgeable about pain. I was helped very much. Although I didn’t go for RA at the time. I went for facet arthritis in my lower back. If you can get the pain under control, then you can move on and do exercises that will strengthen you and the pain will stay away. Thank you Stephanie. I feel more comfortable about going now. But I was wondering if your RA moves to different places? I mean, I know it is always in the usual places but do you find sometimes that it hurts really bad in a place you don’t normally have trouble with? I am experiencing pain in my hips really bad right now and I have never really had pain there before? Tanya, I’m sorry I was late replying. YES, the RA symptoms can seem to move around like you say. It’s still in each place; just some are better and some are worse at different times. I have sharp pain that can last for minutes to weeks. In between the joint is tender if it is touched or used. But I can make it comfortable – until the pain comes back. There is not always a trigger or a reason the pain comes – you can be lying perfectly still. I hope it helps to know you aren’t alone. Thank you! I told my rheumatologist on my last visit that I felt like I was hurting in other places. He told me that the medicine should be helping some and that the arthritis shouldn’t be getting worse????? I told him that the pain is at the same level but that I felt it in other areas. He totally dismissed me? I don’t know if he was just having a bad day or had other things on his mind or what? He somewhat acted like I wasn’t even in the room? So, I felt a little like I was going crazy!!!! He told me on my next visit we would be starting on the methotrexate along with the sulfasalazine. I just needed confirmation that I wasn’t loosing my mind along with my lack of mobility! LOL! Thank you. I appreciate you very much! Tanya, After a couple years of my first rheum doc talking like that I went looking for a new one. Maybe you won’t need to, but please read the e-patient link on the menu and the posts on patient assertiveness. You need to describe exactly how the RA is affecting you & the doc needs to put that in your chart & accept it as valid information & treat it. Not minimize it. I am sorry this is so hard. I know how you feel (I think) since I’ve been there too. Saying the RA doesn’t spread or get worse is just wrong. Please hang in there & let us know how it goes. Tanya, I have facet arthritis in my lower back. It can cause pain in my hips and my bottom. But you could also have bursitis in your hips. The pain management people take care of that with a shot too. Your best bet would be to talk to your doctor or pain management doc about getting an MRI first. Thank you for replying to me! I will suggest that to them when I go for my appointment. I hope you are feeling better and I wish you the very best. My own RA moves all over. Right now my shoulders are a problem. It has moved from my wrists and feet to knees and hands. Almost always both sides. For some reason my right side is generally more involved. I was diagnosed in June of 2007. The extremes are extreme, if that makes any sense. A great RA doctor and rest helps. The meds evolve like the symptoms move. Read everything you can. Don’t hesitate to get real medical treatment. This monster never sleeps. You are right a good doctor the right medicine and rest does help. Also I think your attitude and determination plays a big part in handeling the pain. I have RA and have been on alot of medicine and now my doctor is talking about a TNF blocker I have read about the TNF blockers and it scares me has anyone used this medicine and has it helped? Those TNF blocker medicines are used by many of the readers of this site. They have been used for about 10 years now & many patients are helped by them, but I understand that they might seem scary to you. If you click here and here, it will take you to some articles on this site that will help you learn more about them. And if you go to the bottom of any blog post, there is a link to a comments page where you can read more discussion of the topic. Please feel free to ask more questions after you read, too. I am a 52 year old male who was diagnosed with Juvenile Diabetes at the age of 23. Symptoms of RA started around a year ago. I went to get a second opinion at Mass. General in Boston. In researching the Hospitals RA program I came across a connection to Joslyn. Evidently there is a very high incedence of individuals with Juvenile Diabetes coming down with Rhuematiod Arthritis. In all the years that I lived with Juvenile Diabetes no one ever mentioned the connection nor do I see it mentioned on this site. I am not sure but I believe the percentage is around 58% of JD patients in time end of with RA? I have read of the genetic link to the 2 – see article number 3 in the post at this link – click here. But I have not seen actual stats on how many get both. Kelly, I read your story today and it seems like I would of written the exact same story. I have the same pain in the feet, shoulders, and hands. I was diagnosed 12 years ago with RA after spending one year on 4000mgs of an antibiotic becasue my interenist told me I had Lyme disease because my blood test was negattive for RA. I later found out that 25% of the people test negative for RA. AFter going to a rhematologist he immediately diagnosed me with RA. Have been on Methatrexate, Plaquniell, Steroids, Enbrel, Humira and many more. Had to go off injectables because had side effects. They wanted to put me on Rituxin so I went to a new DR. who took me off all drugs. I then mentioned that I play golf much better when taking lots of Advil, they gave me Mobic which is an anti infamatory and it changed my life!!!! I don’t know why they don’t give to everyone with RA. Also, the other thing I have noticed that there are certrain foods that really set off the Ra,If I eat red meat, vinegar and certain foods, the next day I am completely swollen. I have also heard from a few people that by eating raw foods they are in complete remission. I had gone to 4 nutritionists, the only one that really helped had me drinking organic vegtable juices with lots of greens. It really helped me. I also just got the name of a Dr who is a nutritionist for RA in NYcity (where I live) and I was told that he has helped my friends 3 siblings go into remision. I also became very depressed when I was diagnosed, I was a ranked tennis player, ice skater, golfer, very active, went to psycholoogist who put me on Zoloft, It really helped me also. I am so impressed with you’re website and I love to help people because I know how I suffered for so many years. I hardly am suffering since the Mobic. Thanks Jan. It’s nice to hear from you. Oh, I love tennis and skating. Maybe someday! it seems that various articles are stating that 52% to 58% of Type 1 diabetics ultimatley contract Rhuematoid Arthritis. 5 to 6 out of 10 to me is alarming. In all the years I have been treated for JD never once has any doctor ever made me aware of the statistical likelyhood of contracting another auto immune desease. This leads to the next question, does it work in reverse. How many Rhuematoid Arthritis patients come down with Diabetes? i was happy to find this page because i am liveing with RA and some days are very difficult because of the pain and the fatigue is so depressing.i don’t like the medicine because it makes me feel so out of tuned with everyone and everything.and the nauciouseness is to much for me.i could not stand it. if they come up with a medication that will not make me feel this way then i will go back to takeing some meds. but i would rather take nothing and know what is going on around me then take meds. and not know whats going on with me and my family. Hi Kelly; In the Pain Carnival responces there was a mention of a pain contract. What exactly is it and how powerfull is it. Can it determine how you are treated by any doctor and will it influence all your doctors. I’ve heard a number of stories and am now confused. Can you help with this one too? Thank you for insightful truths about RA. The fact that it is not just another arthritis condition is so important for RA’ers & non to understand. The ups & downs, complications & symptoms that doctors haven’t attributed to RA in the past (still don’t in some cases) is yet another frustration we have to deal with along with the 24/7 living with RA issues. I appreciate & commend you Kelly for going above & beyond in creating this blog to educate, support, & just plain help us keep fighting every second of every day. is there help for people who don’t have insurance? Hi, I read through some of your website with great interest. It contains a lot that answers questions I’ve had. I just received a strong RA diagnosis from my rheumatologist. I’m scared to death but reading helps diminish some of my fears. I’ve had it for some time but it was thought my aches and pains were from a fall. I’m on steroids right now for a short time and am starting methatetrix soon. I’ll be visiting here again. Welcome to RA Warrior. I hope you do find information and encouragement that helps you. There is a lot that can cause the “scared to death” feeling you mention, but knowledge usually helps and knowing others are going through the same things. Good luck. Thank you for all of this, for all the work you’ve done. You are a warrior just as I am!! I’d like to help the RAD community as much as possible and I think I’ve found a lot of inspiration from you. It can be a very depressing world at times and in coming here, to this website, you put the sunshine back in. I’ve read that any extreme change in diet can help RA / or AS symptoms because it alters the way the immune system is functioning temporarily. If you do have an actual intolerance to a food, then the symptoms would improve and you could know to just avoid that food. If the RA flares (up and down) which it tends to do in many people, then it can be very hard to tell for sure what helps. RA can affect the SI joints too, so that’s not a definite way to distinguish the diagnosis. And RA can be assymettrical also. There is a genetic blood test that can help with knowing which one. And possibly imaging of an affected joint. Until today, I didn’t know I would need it in this way, but I linked my future in-laws to your article to help them understand what is happening to me. Thank you so much! So it will be a slow painful death? My Mother died from ra at 62. I sure hope not Robert. And that would not be very compassionate of your doctors if it is. I WAS DIAGNOSED WITH RA ABOUT 2 YEARS AGO. WENT TO THE E.R. SEVERAL TIMES TO FIGURE OUT WHY MY ARMS WERE SO TERRIBLY PAINFUL. ONE SAID I HAD CARPAL TUNNEL SYNDROME, THE OTHER E.R DOC SAID I MIGHT HAVE CELLULITIS AND IF HE HAD TO PUT ME IN THE HOSPITAL I MIGHT LOSE ONE OF MY ARMS! FORTUNATELY I HAVE WORKED IN SURGERY IN A LARGE HOSPITAL SYSTEM FOR 26 YEARS, SO I HAVE ACCESS TO MUCH INFO. I COULD WRITE MORE BUT IT WOULD TAKE FOREVER. IF ANYONE WANTS TO CORRESPOND WITH ME I WOULD LOVE IT. MY HUSBAND DOESN’T UNDERSTAND IT AND I HAVE NOT TOO MANY PEOPLE TO TALK TO ABOUT IT. Does anyone have comments on leuckovorin? I have R/A and everything I just read is true! It is very painful for me at different times!!!!!!!!! you do not know what it is like till u go thru it yourself!!!!!!!!!!!!! I am having an acute attack right now and no amount of prednisone is touching it. I am immobile and my wife has to do everything for me, evn feed me. i have been on humira for 12 years and found this apst march that it was not effective. I have gone thru two docs who IMHO are just duds, finally got a scrip for enbrel which I have yet to take since it is being ok’d by BC/BS. I have been struggling with this for several months and pounding the prednisone for the last month or so. I had a decent day yesterday but woke up at 3:am and could not move. searing pain in every joint cannot turn my head. I’m at a loss here, any short term heat or cold therapy that could get me out of bed??? I have been looking for the treatments that you are taking but cannot seem to find them on this website. Can you tell me what you are taking to control your symptoms? Thank you. Ann, you can search in the search box on the top right of the page for the use of any word, including medicines to see where they are discussed here. Also, use the Tags / list of topics below that on the right & there are several different meds listed there. If you click on one, it will show you a list of pages discussing that medication. Also good places to look is the Topic: https://www.rawarrior.com/tag/rheumatoid-arthritis-treatment/ for lots of more specific & general articles on treatments. My polyarthritis acts like RA, but I have no antibodies. I had a hint of arthritis in my 50s and after a bout of diverticulitis, both elbows flared with tendonitis without redness or swelling. (I have never played tennis or golf) The arthritis progressed to both wrists, fingers, ankles and toes. (No redness or swelling) I have 2 gene markers for RA. I do not have Lyme disease. (Test was negative.) Always symmetrical. Pain lasts for 1 to two hours in the morning even with pain meds. Flares cause me to go to bed with extreme fatigue-flu-like. No fever. I’m on Plaquenil, which does help. The magic drug for me is steroids. Works like a charm. One doc called this inflammatory arthritis. The other call this osteoarthritis. Does this sound like RA to you? I’ve had 2 1/2 years like this. I would not like to flare so often. ( I cannot take a full dose of Plaquenil because I only weight 105 pounds.) Did anybody else start like this? Vicki, I can give you a link so you can look through how many people say their disease started – there is a wide range of symptoms. “inflammatory arthritis” is sometimes a diagnosis before the doctor is certain how to classify it. I’m sorry. Many have shared stories about varying degrees or presence of obvious swelling. My elbows have flared many times with no redness – and the swelling is hard to notice. I don’t think swelling is always obvious especially in large joints like shoulders and elbows. Rheumatoid is usually symmetrical as you probably know. Also the response to steroids does lend toward inflammation as the cause. In response to the age range, I was diagnosed with RA when I was about 68. I’d had odd symptoms for about 4 years before that. In the summer my fingers would get stiff, and I had to work at keeping them limber. In the winter that all went away, so I never went in. When the stiffness in the fingers continued throughout the year, I knew something was up. So I’m out of the typical age-range. I look at it this way: 1. If I’d have gotten it in my very early years, there were probably no meds that would have treated it and I would have deformities. 2. I’m lucky that there are drugs to treat it. 3. The drugs (I’m thinking MTX now) are harsh, and if I’d gotten it, say 20-30 years ago, I might have been on these harsh meds for much longer. So in several ways, I’m lucky. But I do not like the MTX, though it does help me. My doctor says that every one of his patients on MTX feels the same way.